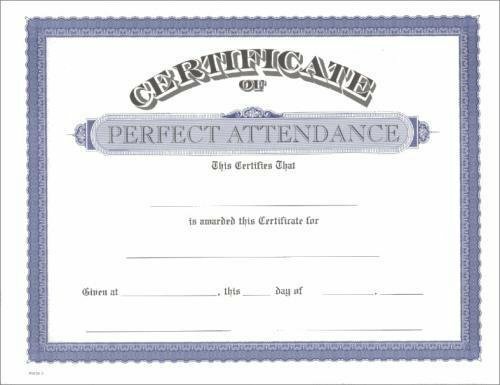 Perfect Attendance certificate. High quality watermarked paper with a blue border. Diploma covers and certificate holders available for presentation and storage of certificates.